Sanook reported that three members of a large gang of romance scammers were interviewed by Region 5 police yesterday. The case involves 100 victims in Chiang Mai being conned out of 30 million baht via Facebook. 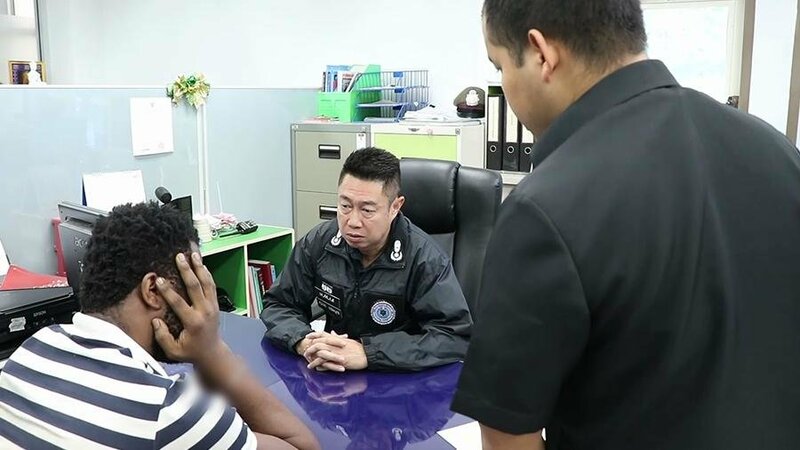 The police team headed by Pol Maj-Gen Suraphon Prembutr interviewed Aka or Ulasi, 33, a Nigerian and his Thai wife and another Thai woman after they were brought back from Malaysia via Sadao. From June to July last year they defrauded woman in Chiang Mai and were part of a gang of 17 people. Their modus operandi was all too familiar. The Nigerian posed as a US boat company owning millionaire. After befriending women through Facebook he told one victim that he would come to see her after taking his yacht from the US to Australia. In the meantime he had sent her expensive goods. The woman was then contacted by the Nigerian's wife and another woman posing as customs officials to say that tax needed to be paid on the items for their release. She initially parted with 50,000 baht. As the gang got their claws into the victim she was further contacted to say that more and more tax needed to be paid. She eventually parted with 1,400,000 baht before the Nigerian and his accomplices disappeared. Thaivisa notes that those interviewed appeared to be part of a gang involved in a bust in which Thai immigration chief Lt Gen Surachate "Big Joke" Hakparn played a pivotal role in Kuala Lumpur in cooperation with Malaysian police.